Torn between longing, affection, and distrust, Bedouin Soundclash’s infectious summer single “Clock Work” vibes with a sunny reggae-pop fusion and the warmth of dubious romance. It’s been nine long years since we last heard from Bedouin Soundclash, but in the band’s own words, “The look on his face means he’ll be back again.” 2010’s fourth album Light the Horizon heralded massive musical expansions beyond the group’s reggae and ska roots; its warm reception was followed by an unannounced (but seemingly indefinite) hiatus, during which time lead vocalist Jay Malinowski wrote a novel and released two solo albums, and bassist Eon Sinclair plunged into session work and DJing. Toronto’s (and indeed, the world’s) musical landscape has evolved tremendously over the past decade, and Bedouin Soundclash have been evolving alongside it. Now down from a trio to the duo of Malinowski and Sinclair, the Canadian band’s new music incorporates an excitingly eclectic array of influences – from Big Bang swing to New Orleans jazz, modern pop, electronica, and more. Torn between longing, affection, and distrust, Bedouin Soundclash’s infectious summer single “Clock Work” vibes with a sunny reggae-pop fusion and the warmth of dubious romance. It’s hard to fall in love when you can’t let yourself go. And where those things go. 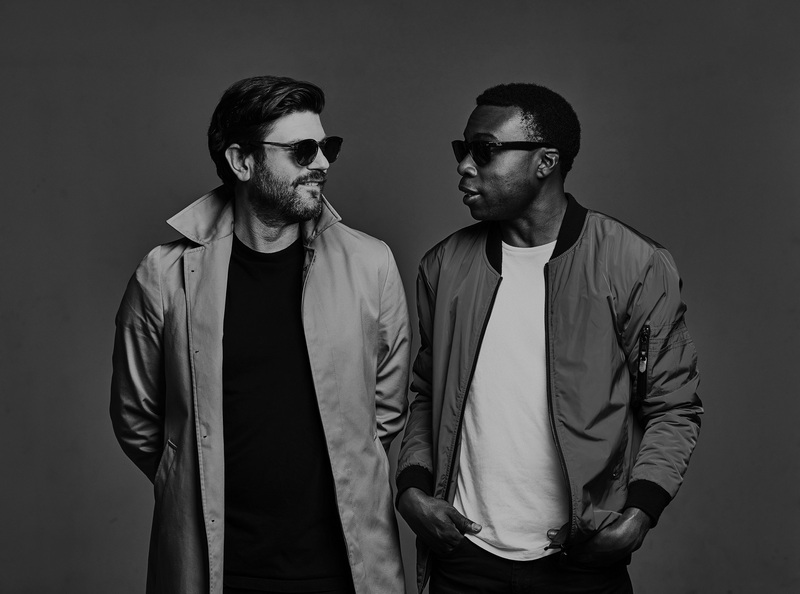 Atwood Magazine is proud to be premiering “Clock Work,” the latest single off Bedouin Soundclash’s forthcoming fifth album (set for release later this year via Mr Bongo). Already having set the stage for reinvention with their last record, the JUNO Award winners’ new music finds them not merely dipping a toe into other sounds, but rather fully immersing themselves in new worlds. Recorded in the cities of New Orleans and Vancouver, Bedouin Soundclash’s current genre-defying aesthetic is certainly a far cry from the polyrhythms and chants on 2005’s debut Sounding a Mosaic. 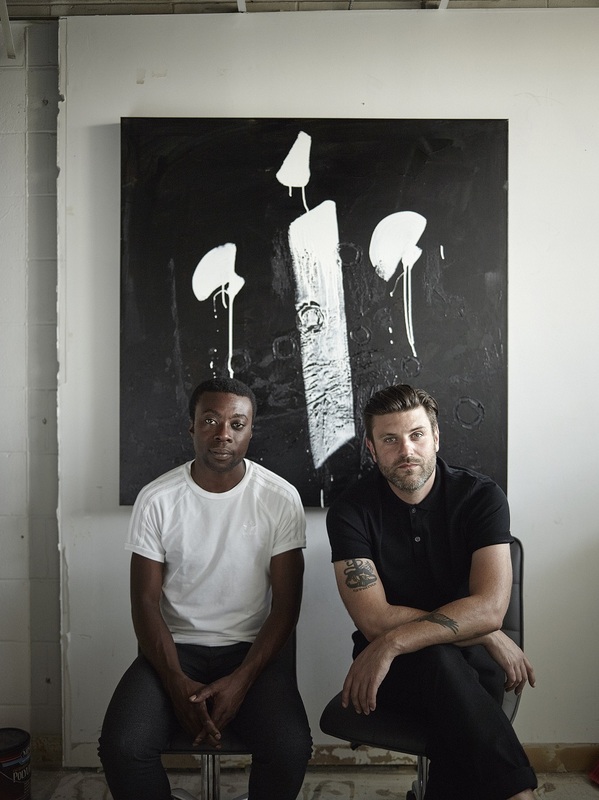 This growth is a testament to the group’s musical talents, as well as to time itself: And while it may merely represent a vessel for metaphor in their new song, “Clock Work” is rife with references to time. Directed by Edwin Burdis and animated by Burdis and Sam Jordan Richardson, Bedouin Soundclash’s “Clock Work” music video glows with bright colors and a dizzying collage of imagery. These visuals effortlessly capture the song’s overwhelmed sensation, pushing stimulus upon stimulus into our corneas before we’ve had time to digest any single frame. This is, in many ways, a reflection of life itself – especially in regards to the fast-paced turbulence of a new relationship. Love waits for no one, coming at us when we least expect it and throwing us headfirst into the deep end of an unknown pool. We are forced to tread water as wave after wave tries to drown us, sinking us into those blue depths. Is it worth the struggle; constant second-guessing; the nerve-wracking texts and over-analyses? Pink and blue silhouettes dance over Burdis’ collage, expressing a wide array of emotion through body language alone. We come to see ourselves in these anthropomorphic images like reflections in another world – enduring storm as we see fit, and seeing things through because of the connections we have to one another. Bedouin Soundclash don’t claim to have all the answers; their latest release is as skeptical as they come. Yet in the midst of all that uncertainty, there lies an even deeper core understanding of human connection and vulnerability. 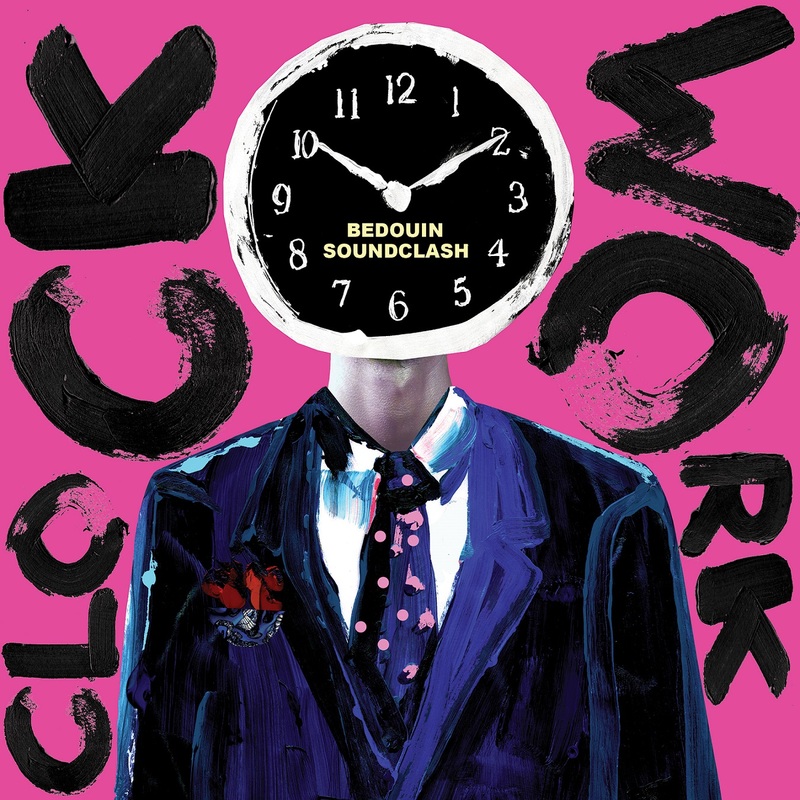 “Clock Work” is dazzlingly new – a dynamic tidal shift in what we’ve understood as Bedouin Soundclash’s music – and that serves to make it all the more exciting. Stream “Clock Work” exclusively on Atwood Magazine! Fans in London can catch the band at their headline show this August.